I’ve seen thus market action 2 times now in the past few months. The first was before ADBE earnings release, and most recently was NFLX release. ~10 seconds later the price reverses and the stock rises about 3 to 5% above the close. finally, within 10 seconds, the price drops again near the close. 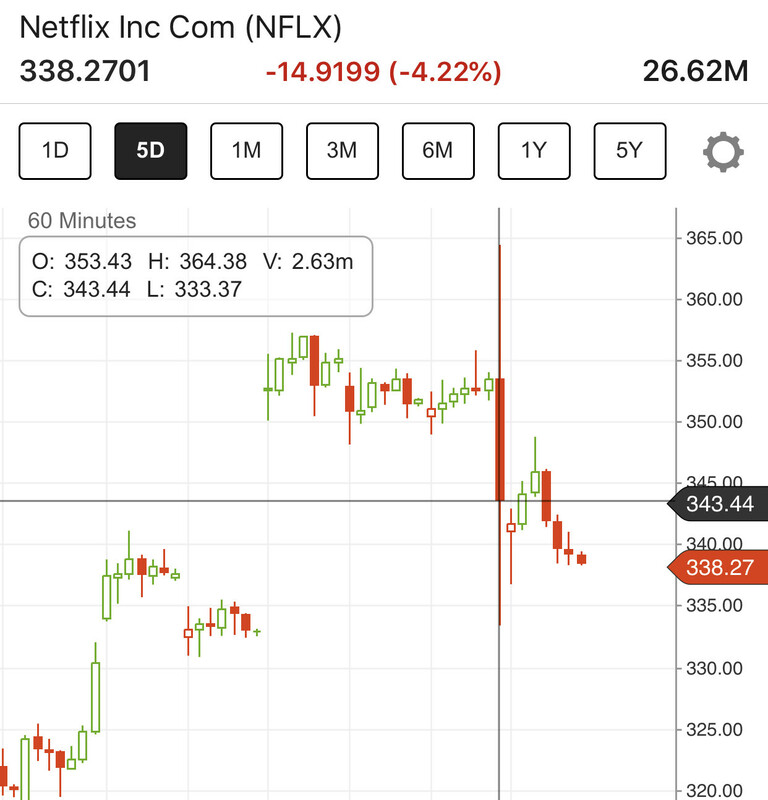 Earnings weren’t released until 5 minutes later. a fellow trader on StockTwits said that he has seen this type of action before in bear markets. it seems plausible that the massive short could have triggered a bunch of stop losses, allowing the algorithm to buy shares. The subsequent massive long could have triggered a bunch of stops above the close, allowing the algorithm to sell those shares as the stops were triggered. Questions: Has anyone else seen this behavior? Should it be legal to do this in an illiquid market just before earnings release? Although plausible, it seems unlikely/counterintuitive that this would result in a net profit? Browse other questions tagged equities market-making market short-selling earnings or ask your own question. How to calculate probability of touching a take-profit without touching a stop-loss? How does after-hours trading affect the next session prices?